Top super-bantamweight prospect Raza Hamza aims to fulfil a promise to his late mother and become a champion. In a moving interview with Boxing Monthly online, the young Birmingham talent tells how his mother encouraged him to start boxing after watching Amir Khan. 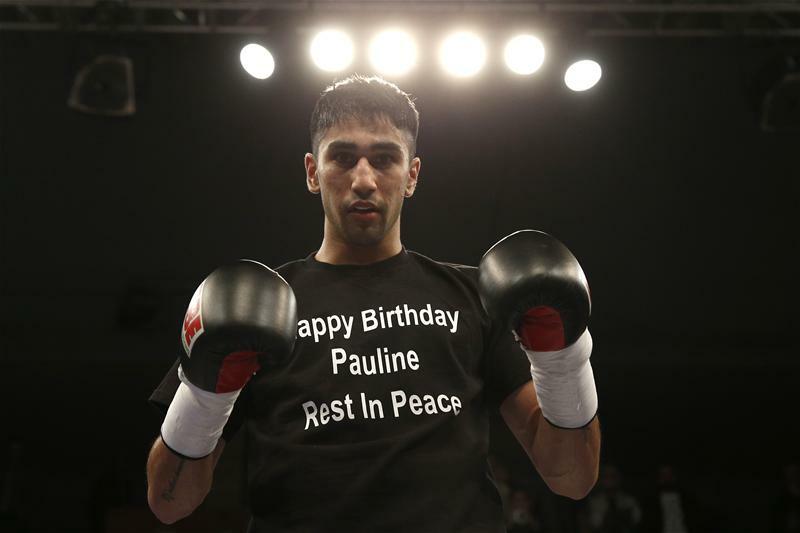 But sadly she didn’t get to see her son’s first fight after passing away on the morning of his amateur debut following a seven-year battle with cancer. Despite the heartbreak of losing his mother, the 12-year-old Hamza won that night and went on to win another 53 out of 64 fights and also collecting three Junior ABA titles. Hamza left the amateur code having become disillusioned with the sport and turned over to the professional side, joining top Midlands trainer John Costello – father of top unbeaten talent Joe – and manager Lee Beard. The 22-year-old made an explosive pro debut in February at the Wolverhampton Civic Hall, putting on a devastating performance to halt Jack Heath in 63 seconds and dropping him twice. Exciting talent Hamza will have his next date announced shortly as he sets his sets on becoming a world champion in honour of his mother. “All that matters to me is becoming a champion now or giving it my best go at becoming a champion. I don’t care about anything else. All I think about is becoming a champion,” said Hamza.